Without the DAP, Sereno wouldn’t have been a chief justice in a million years – this according to veteran columnist and former diplomat, Rigoberto Tiglao. Following the final ruling of SC for ousted chief justice Maria Lourdes Sereno, the Ombudsman announced its decision to indict her boss, former President Benigno Aquino 3rd. Aquino was indicted over “his colossal fund scam, camouflaged as the Disbursement Acceleration Program (DAP)” as what Tiglao said. According to reports, there was some P6.5 billion from the DAP that was used to bribe the Congress to oust the former chief justice Renato Corona, and be replaced by Maria Lourdes Sereno. 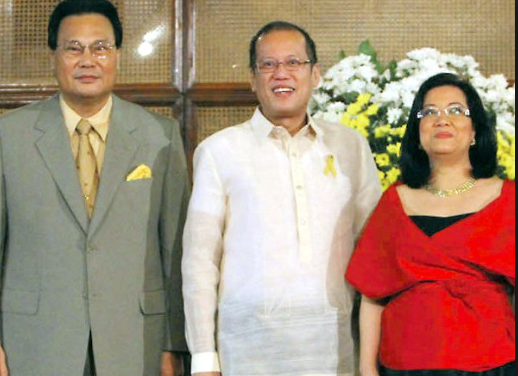 “Aquino’s DAP scheme was so illegally brazen and so huge in scale that only an Aquino, prodded by the schemer par excellence and brain trust, his budget secretary Florencio Abad, had the gall to pull it off.” Tiglao said. Tiglao also referred to Aquino’s scheme as an “unprecedented assault” to the republic. “Through the DAP, Aquino was in effect a dictator who used taxpayers’ money at his whim.” He added. In a statement on Wednesday, the Office of the Ombudsman said that Morales has “found probable cause” to call Aquino to the court for alleged unlawful issuance of National Budget Circular No. 541 for the implementation of DAP. The said issuance was to authorize the release of P72 billion in total DAP funds, and were given to different government agencies. “Much of the P72 billion in total DAP funds was disbursed – at Aquino’s total discretion – for such purposes as the P2 billion used to build infrastructure at his overbuilt home province of Tarlac and the P10 billion to bribe Muslim leaders to acquiesce to his Bangsamoro bill project.” He added. “The DAP provided the P6.5 billion to bribe – in the pork-barrel style of infrastructure funds directed by the lawmakers – first the House of Representatives, led by then Speaker Feliciano Belmonte and justice committee chairman Niel Tupas, Jr., to pass, hardly with debate, the impeachment complaint against Corona. And then it was used to bribe the Senate as the impeachment court to vote Corona guilty.” Tiglao explained. He also cited how Aquino controlled the mainstream media then mentioning Rappler and Inquirer’s headlines which dragged Corona down, persecuting him. Philippine Daily Inquirer allegedly bannered a claim that Corona cheated on his Ph.D. from the UST. “They even dragged his daughter into the mud, falsely alleging that she bought for her father a property in Los Angeles – although it turned out she was a physical therapist working 14-hour days to raise the down payment that got her the house at dirt cheap prices during the US real estate crisis.” Tiglao added. “While these media lies fooled the gullible portion of our middle class that Corona wasn’t fit to be Chief Justice, our more street-smart legislators of course needed more than propaganda for them to remove the Chief Justice. It was the P6.5 billion from the DAP that convinced them.” Tiglao said. "We are yet to receive a copy of the Ombudsman’s decision. We’re quite curious to study how the Office arrived at a reversal of its previous decision finding no liability on the part of Former President Aquino."